Dogs pant. It’s a fact of life! But why do they pant? To some of us, the obvious answer would be because they are warm and trying to cool down, but that might not be the whole story for some pets. Let’s first define panting and then look at some reasons as to why dogs pant. 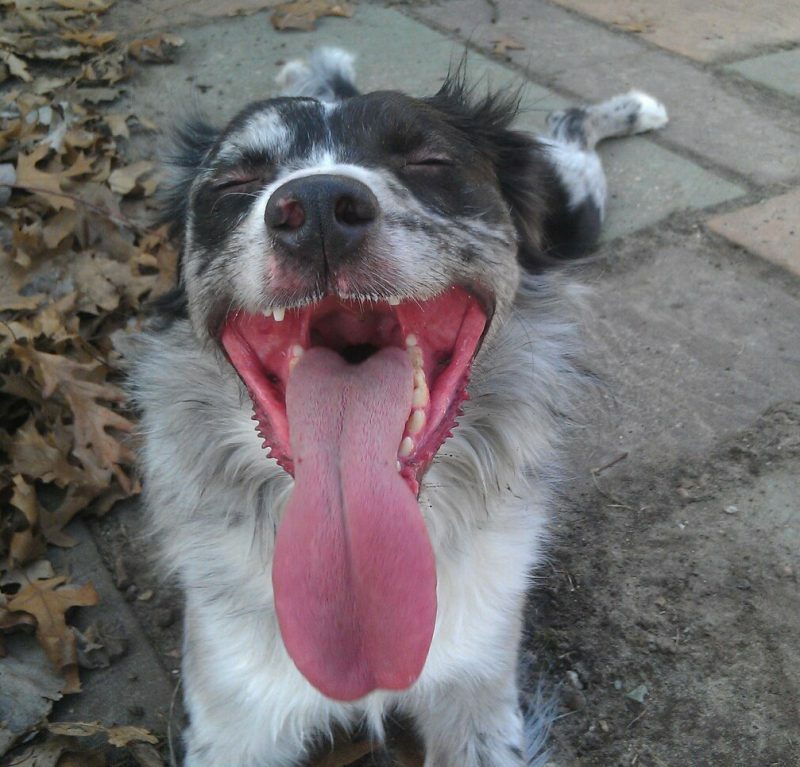 Panting is described as a rapid, shallow breathing pattern. Typically, the dog’s mouth is open with their tongue hanging out a little. In a normal, healthy dog, panting is a method for cooling themselves. As humans we have sweat glands all over our skin that help keep us cool; however dogs cannot sweat like we can. Dogs have some sweat glands in the paw pads and are able to release a little heat this way, but by far the main and most efficient cooling method is panting. There are five major reasons why dogs pant. As already mentioned, panting is primarily a cooling mechanism. This is a very normal response to overheating. Secondly, breed confirmation and structure can cause a dog to pant more. Brachycephalic breeds are those breeds that have a shorter nose and are sometimes lovingly referred to as “smoosh-faced.” Examples of these breeds include Pugs, French Bulldogs, English Bulldogs, Boston Terriers, Pekingese… you get the idea. These breeds often have breathing difficulties due to the shape of their nose and mouth resulting in almost continual light panting. A certain amount of panting is considered normal for these breeds, but it is important to take note when their panting or breathing pattern changes. Panting can be a sign of pain, and is a commonly missed symptom. In fact, their pet may not show any other signs of pain, such as limping or vocalization. It often seems that our furry friend will start to pant for no other apparent reason. Several disease processes can cause a dog to pant. Illnesses that cause panting range from heart or lung disease to anemia, from laryngeal paralysis to Cushing’s disease. In most (but not all) cases, the body is somehow unable to get enough oxygen to the tissues that are in need. To compensate, a panting response is triggered. The fifth reason for panting is behavioral. Dogs will pant with different emotions or situations. Fear, nervousness, anxiety, excitement, and overstimulation can all cause panting in dogs. Cats can pant when they are stressed as well. This is not an exhaustive list of reasons why your dog may be panting, but they are “the usual suspects.” You may have to look for other clues to help you decide which reason is behind your dog’s panting. If you notice other signs or symptoms (i.e. lethargy, increased or decreased appetite, vomiting or other GI upset, exercise intolerance, difficulty getting up or laying down, restlessness, etc) along with panting, discuss these with your veterinarian as they may want to investigate further. 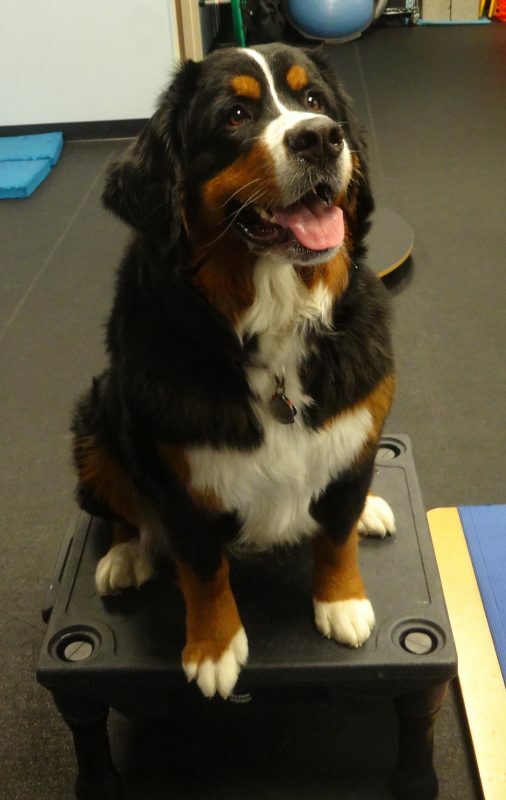 After a work up by your pet’s regular veterinarian, the doctors at Pawsitive Steps Rehabilitation can further help identify and address causes of pain. Pain relief modalities include laser therapy, ultrasound therapy, massage, pulsed electromagnetic field therapy, acupuncture, etc. These methods may be used on conjunction with pain medication.